If you need to learn how much the expert end of tenancy service will cost you, call the 24/7 client care. You can do that by simply calling 020 3404 0500 or by utilizing the online contact page form. Excellent Carpet Cleaning is a qualified post tenancy cleaning company which has efficiently offered the people and companies of Haydons Road SW19 ever since 2004. Through the years, we have specialised in delivering experienced move in and out cleaning services for everyone local residents. This service is useful for: tenants, agencies, property owners and also for people who are purchasing or selling a property or home - commercial or private. 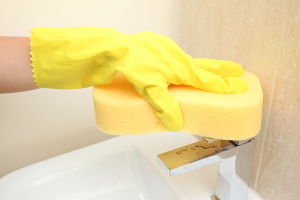 We have made a full end of tenancy cleaning register which is firmly followed by each of our cleaners. This checklist has been accepted by a multitude of local property owners, property managers and estate companies as what they actually hope from the cleaning at the end of your tenancy agreement, in order that they do not keep back part or all your rent deposit for further cleaning costs. We have hand-picked all of our cleaners, background checked them for police data and have trained them to work with all of our contemporary qualified cleaning equipment, methods and Prochem certified alternatives. All of our end of tenancy cleaning clients receive a forty eight hr assure, so when there is a issue, we will come back and clean the house once again totally free! To ensure you do not get your lease deposit withheld for cleaning rates, reserve our expert and excellent assured end of tenancy service now! Our skilled and successful cleaning staff comes at your property or home with all machines, resources, options and other products to clean it from top to bottom. You must have relocated your stuff just before the tenancy cleaning can be carried out. This service has no time period. The crew helps keep cleaning until every single item in the cleaning checklist has been completed. Our post tenancy cleaning business offers you this service with a 48 hour customer satisfaction assure. Your rental property manager or landlord will do an inspection of the property or home before giving their bond back to you. The 24 hours a day customer care service is right here to take your phone calls at 020 3404 0500 or your online reservation requests from right here. You will receive composed verification within the next 2 hrs. Our costs are fixed, so we will not ask for any hidden fees at the finish of the service. In case you are not pleased with the final results within forthy eight hours, we will come back and re-clean your property or home totally free! By reserving a lot more than a single of our services at a time, you will get huge price discounts. We are accessible for same day cleaning, as well as for some other day of the year. Make sure you take advantage of our guaranteed professional tenancy cleaning by booking our service right now!